Nicolas Defer was born in Paris on September 1st, 1994. Raised in a family of music enthusiasts. Passionate about many of the greatest drummers, such as Stewart Copeland, Simon Phillips, Mike Portnoy and Neil Peart, he started learning drums at age 13. Nicolas learned the important foundations and mindset of being a professional drummer early on, taking private lessons from a jazz drum teacher. Full of motivation, he practiced his craft for hours on end. At 15, he began recording in the studio and playing live with his little brother Matt on the guitar and his father Leevan on the bass. Nicolas was so starstruck seeing the live coordination and visual aspect of some of his favorite bands live, such as Dream Theater, that he began developing his sense of live musicianship by joining bands in his area. He was, and still is, interested in many different genres of music, including funk, rock, metal and more– wanting to learn as much as possible about different music worlds. He created his own identity by combining his wide knowledge of music styles and his band experience developing his musicianship. 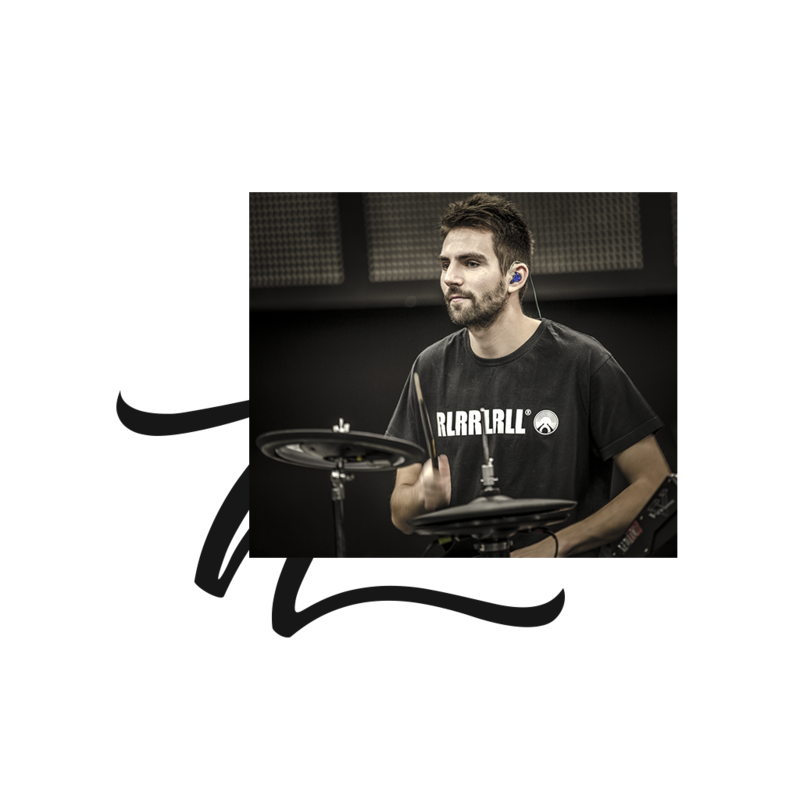 In early 2015, while attending Thomas Lang’s drumming camp in northern France, Nicolas decided to pursue his passion for drums and become a professional drummer. Since then, his career skyrocketed and he toured all over Europe with many popular artists and bands. In addition to performing on big TV shows with popular french singers such as Julien Doré and Marina Kaye, international artists like Matt Simons and Anne Marie, he played in front of thousands of people at events such as the Japan Expo and the Made in Asia Convention. Nicolas now enjoys the comfort of his own home studio, in which he is able to record and edit high-quality drum tracks for artists and bands. He also gives privates lessons and produces his own acoustic-drum videos that have now been watched over 300,000 times on his YouTube channel. Thanks to his sponsors Promark, Evans, TRX Cymbals, Earbay and Cympad, he also was invited to do drum clinics alongside some of the most famous drummers such as Aaron Spears, Brian Frasier Moore, Damien Schmitt and more. Now working in Paris, London and Los Angeles, he’s become an international drummer.